Here is an event for music lovers in Cancun. 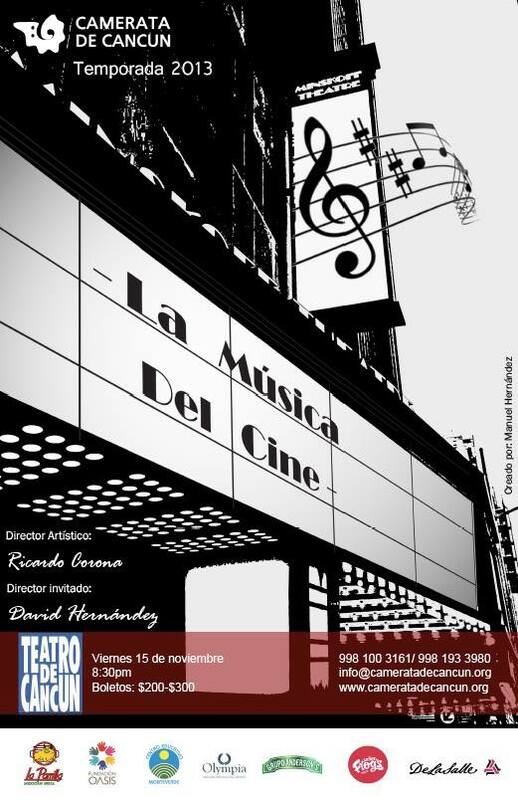 There will be a concert titled “La Musica del Cinema” by Camerata de Cancun on November 15th, 8.30 pm onwards. This is a unique confluence of music with films which are now a part of USA’s and in many ways world’s culture. Camerata de Cancun was founded in 2011. It is the only permanent professional orchestra in Quintana Roo. This orchestra is group of talented musicians honed in both classical and contemporary music. The Vibrant Festivals Of Mexico – Let Yourself Go!